Death is an absolute certainty. Fifty years from now many of us will not be living in this world. Our salvation and normal living in the ‘World after Death’ depends entirely on our Correct Islamic beliefs in this life. On the Day of Judgment when Allah (SWT) will question the people ‘were not you warned about the danger of following your Sect’s beliefs when you were clearly told by the Prophet (SAWS) that out of 73 main sects and there many sub groups your chances of being on the right path will be less than 1%. On what basis you followed the founders of these sects? People may probably reply that, O’ Our Lord, the preachers of these sects approached and convinced us repeatedly in groups, through television, through religious speeches / Qutbas in Juma prayers in mosques, through books, newspapers, and other media. They offered us financial assistance, jobs and made us believe their wrong faith by their oratory skills, from their religious pious looking dresses, long beards, mis-intepretations of Quran and Ahadith and exceptional photo finish memory and religious arguments and debates. We were innocent, we were not in a position to identify these disguised Robers of our faith. O’our Lord, we were innocent Muslims, we became victims of their political, organizational and financial network. Kindly forgive us. Allah (SWT) will say that the time to ask forgiveness is over. The exam is over and today is the day of result. Today, justice will be done to every one. Today mercy will be showered only on true believers and they will be rewarded more than their expectations. It is Quran – That day people will return to their Lord being in different ways so that they may be shown their deeds. Then whosoever has done good of a weight of an atom shall see it. Whosoever has done evil of a weight of an atom shall see it. (Al-Zalzalah – 6-8). 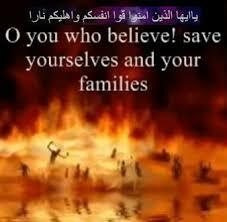 Then Allah (SWT) may tell the followers of these sects, go to hell along with your founders/preachers/leaders. 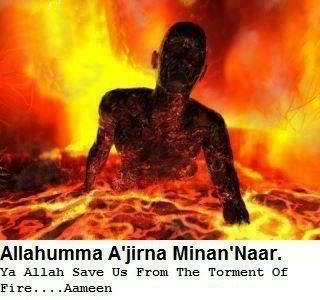 The Angels of torment will drag all those who were following these sects and throw them into Hell fire. STAY AWAY from deviant sects – command of Prophet ﷺ. It is has become common that we hear people say ‘we must put our differences to aside and unite with all other sects‘, these people [knowingly or unknowingly] are doing more damage than good. Do we want to be thrown into the Hell-Fire? No! Then why unite with those who have deviated with from the main group of Muslims? Unity can only be achieved if those who have deviated come back to the correct path. Prophet Mohammad (ﷺ) has forewarned us from the above eventuality. He prophesied that certain individuals and Sects will rise in his Umma who will cause dissension, mischief and tribulation, particularly in the last centuries before Qiyamah. Prophet Mohammad (ﷺ) made particular reference to a place called “Najd” in Eastern Arabian Peninsula and explained the characteristics of the evil people/ groups who will rise from there. Hazrat Abu Huzaifa (RA) narrates a Hadith concerning the leaders of the mischief makers saying ‘I swear by Allah (SWT) that Prophet (ﷺ) has not left out a single leader of Fitna from this day to the day of Qiyamah. Their followers would number 300 or more and further gave their names and that of their tribes.’ (Abu Dawood). Imam Bukhari (RA) has quoted this Hadith from Abdullah Ibn Umar (RA) that Prophet (ﷺ) once prayed for Syria and Yemen. It is narrated that there were some people of Najd also present in the gathering and they requested the Prophet (ﷺ) to make supplication (du’a) for Najd also. Prophet (ﷺ) continued saying: ‘O! Allah, Shower Blessings on Syria and Yemen’. The people of Najd again requested the Prophet (ﷺ) to offer prayers for Najd. The Prophet (ﷺ) said: ‘It is a place of tremor and mischief (Fitna) and the Horn of Shaitaan will rise from there.’ (Bukhari, Vol – ii, P – 1050). The above Hadith clearly specifies following conclusive points. It is abundantly clear that the place called Najd is not blessedfrom Islamic point of view as Prophet Mohammad (ﷺ) called it a place of Fitna and Evil. This place is deprived of the prayers of Prophet Mohammad (ﷺ). Hoping of any Islamic good coming out of this place is against the Will of Allah (SWT). In these circumstances, the Wahhabi/Salafi revivalist movement coming out of this place cannot be good or virtuous. As per Prophet’s (ﷺ) prophecy this movement is tribulation and fitna in Islam. We pray Allah (SWT) to safeguard us from this Fitna. The Arabic word used in the above Hadith is ‘Qarnush Shaitaan’, which normally means the horn of Shaitaan. In Misbahul Lughaat (page 663) the meaning of this word is written as ‘One who follows the advice of Shaitaan’. Therefore, as per the Hadith, the Islamic revivalist Wahhabi movement is indeed following the advice of Satan. For the past 100 years, this tribulation (Fitna) has gradually swept the entire world. Millions of innocent Muslims have become victims of this movement. Salafis and their like minded deviant sects have mislead millions of innocent Muslims with the slogans of Shirk, Kufr, Biddah, etc. When we look at the geographical position of Najd, it lies to the East of Madinah. In other Ahadith, it is mentioned that Prophet Mohammad (ﷺ) pointed his hand towards the East and said, ‘there, that is the direction from where Fitna will emerge. This Hadith is mentioned in Sahih Muslim. Hazrat Abdullah bin Umar (RA) narrates that ‘ Prophet (ﷺ) once emerged from the room of Ummul Momineen Hazrata Ayesha Siddiqa (RA) and pointing towards East (Najd) exclaimed, ‘This is the center of Kufr from where the horn of Shaitaan will rise’. (Sahih Muslim Vol- ii, PP- 1394). It should be noted from the above Ahadith that, the center of Kufr and Shaitaan is no other place except Najd situated in the East of Madina. The above Hadith mentions about the Group of so-called Muslims who will recite Quran in melodious voices but it will not penetrate beyond their throat. Meaning, they will not understand its meaning. In the guise of inviting masses towards Quran and Sunnah, they will actually take them far away from Islam. When we examine the above Ahadith carefully, we will realize without any fear of contradiction and without any doubt that the reference in these Ahadith is made to none other than Wahhabis / Salafis and their like minded groups, viz, Ahle Hadith, Deo bandis, Tablighis, Jama’at-e-Islami, etc. Maulvi Masood Aalam Nadwi writes in his well known book ‘Muhammad Ibne Abdul Wahhab’ on the side commentary (Page 16) that ‘the Southern part of Najd has the famous town of Riyadh, the Capital of Wahhabi Headquarters in Dariya. Both these villages are in the valley called ‘Waadi Hanifa’, situated in Najd’. Allama Dahlan quoted another Hadith from the Sihaah. Prophet Mohammad (ﷺ) said: ‘During the initial part of my Dawah in Makka, I particularly invited outside tribes who used to arrive during the Hajj season. From these tribes the most hostile and ugly reaction was from the Banu Hanifa tribe’ (Addarus Sunniah, P- 52). Allama Dahlan also quoted another Hadith. ‘Hazrat Abu Bakr Siddiq (RA) reported that the Prophet (ﷺ) said, From the tribes that live in Waadi Hanifa, Fitna shall emerge till the final era. That valley shall be notorious for its fitna because of the rise of false leaders. (Addarus Sunniah, P- 52). It is in Tirmizi. Hazrat Imraan, the son of Hazrat Haseen (RA) reports that the Prophet (ﷺ) disliked three tribes life long, (i) Banu Saqeef, (ii) Banu Hanifa, and (iii) Banu Umayya. It is reported in Mishkat from Hazrat Abu Said Khudri (RA) who narrates that, ‘Once we were in the presence and company of Prophet (ﷺ). He was distributing booties (Spoils of War) when a person named Zul-Khawaisara, who was from the tribe of Banu Tamim addressed the Prophet (ﷺ) ‘Oh Muhammad Be Just!’. The Prophet (ﷺ) replied: ‘A Great pity that you have doubts; if I am unjust then who will be just; you are a loser and a failure’. Zul-Khawaisara’s attitude infuriated Hazrat Umar (RA) and he pleaded with the Prophet (ﷺ) to permit him to slay Zul-Khawaisara. The Prophet (ﷺ) remarked: ‘Leave him, as his slaying will serve no good purpose, as he is not the only individual but there are a host of others like him and if you compare their prayers and fasting to that of yours, you yourself will feel ashamed. These are the people who will recite the Quran but it will not go beyond their throats, with all these apparent virtues they will leave the fold of Deen just like the arrow leaves the bow.” (Miskhat, P. 535). The above Hadith has also been narrated as follows: ‘A person with eyes protruding, with a long beard and head clean-shaven came to the Prophet (ﷺ) and declared: ‘O Muhammad! (ﷺ) fear Allah. ‘ The Prophet (SAWS) replied: ‘If I disobey Allah (SWT), then who else will obey Him? I am obedient to Allah (SWT) at all times and never disobedient. Allah (SWT) has sent me as Amin (Honest for the entire world, but you don’t accept me as an honest man? 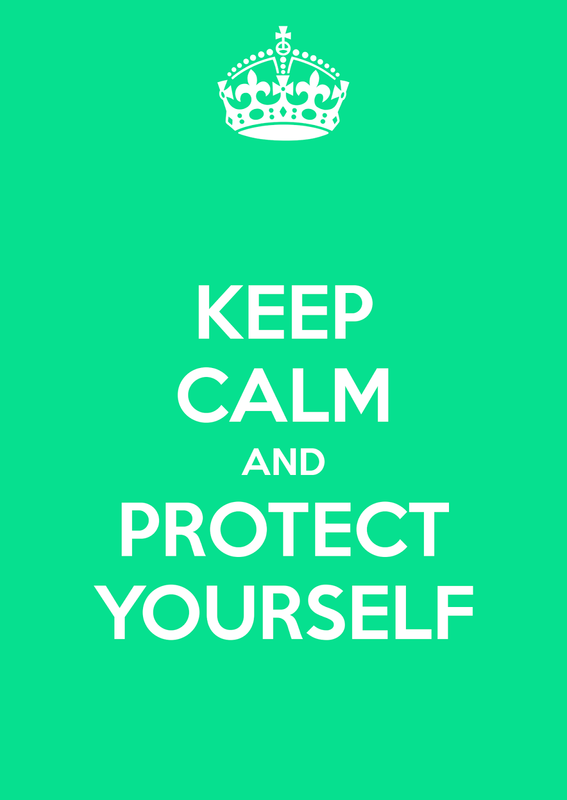 A Sahabi (Companion) became infuriated and sought permission to remove him from the presence of the Prophet (ﷺ). The Prophet (ﷺ) prevented the Sahabi from doing so. After the person had left, the Prophet (ﷺ) said: ‘From his progeny (descendants) will rise a Group who will recite the Holy Quran but it will not go below their throats. They will leave the Deen (Islam) just as an arrow leaves the bowstring. They will kill Muslims but spare the idolaters. If I ever confronted these people I would slaughter them just as the people of Aad had been destroyed’. (Mishkat, pp/535). Historians have mentioned that Ibn Abdul Wahhab belonged to Banu Tamim tribe. The House of Sauds belonged to Banu Hanifah tribe. All historians have mentioned that the place of birth of Ibn Abdul Wahhab is Dariya, in Najd. These are photo finish facts confirming nature of Wahhabi movement. Shareekh Ibn Shihab (RA) narrates a similar incident of a person who displayed disrespect towards Prophet (ﷺ). He has stated that Prophet (ﷺ) said ‘Nearing Qiyamah there will be a Group of people who will recite the Holy Quran but it will not go below their throats. They will leave the true Religion of Islam as fast as an arrow leaves the bow. They will be recognized by the shavings of their entire head and they will move in Groups and their last Group will emerge with Dajjal. When you meet them you will discover their nature and character, the worst of its kind.‘ (Mishkat p. 309). Prophet Mohammad (ﷺ) has mentioned many signs that will show up a few centuries before Qiyamah. Most of those signs have appeared during our life times. When we study above Ahadith together, it is not difficult to identify the group of people Prophet Mohammad (ﷺ) has cautioned us to be away from. Anybody can conclude that the group mentioned in Prophet’s (ﷺ) Ahadith is none other than Salafis and their subsequent offshoots. An important sign to identify these misguided people mentioned by Prophet Mohammad (ﷺ) is that they will be so punctual and devoted to Salah to the extent that one will feel ashamed of his own Salah as compared to theirs. Hazrat Abu Saeed Khudri (RA) and Hazrat Anas (RA) report that the Prophet (ﷺ) stated: ‘My Ummah is destined to differ and be divided. So a group will rise whose talks will sound very good but their character will be misleading. They will read the Quran but it will not descend below their throats (meaning they will not understand its meanings). They will leave Deen just as an arrow pierces and goes right through the prey. They will not return to Islam. They are the worst of creation because of their nature and constitution. They will call the people towards the Quran and Deen whilst in reality they will have nothing to do with Islam. Whoever will confront them, he will be the most beloved servant of Allah. The Sahaba inquired: “Ya Rasoolullah, (ﷺ) what is their sign?” He replied: “Sitting in Halqa (circle). (Mishkat, p. 308). The following Hadith is reported by Hazrat Abu Naim (RA) in his book titled ‘Huliya’. Hazrat Abu Umana Bahili (RA) narrates that Prophet (ﷺ) said ‘Before the Day of Qiyamah, they ( the misguided sects/groups) will spread and attack bitterly like the small and the large insects and whosoever witnesses this period must seek refuge in Allah (SWT). (Huliya). Hazrat Hassan Basri (RA) narrated that ‘The Prophet (ﷺ) said that there will come a time when people will speak of worldly affairs in mosque and when this period arrives, keep away from such people as Allah (SWT) has no relation with them.” (Mishkaat). When we look at the big gatherings of these sects, we realize that the prophesy of Prophet Mohammad (ﷺ) is happening in front of our eyes. The innocent Muslims go to these Ijtimas / comparative religion debates thinking that they are doing service to Islam. We find huge number of students from schools, colleges, madressas in these gatherings who eventually become victims of these sects. It is mentioned in the above Ahadith that these groups will multiply like insects and ants. We are seeing the same thing happening in front of our eyes. Thousands of simple minded Muslims are falling prey to these sects. The books and Dawa literature of these sects is available all over the world, in book stores, media, internet and it has penetrated in every single Muslim home. Indeed, these groups are the happening portrait of Prophet’s (ﷺ) prophecies. Allama Dahlan quotes in his book ‘Addarus Sunnia’ an authentic Hadith of Prophet Mohammad (ﷺ) which states as follows. “There will be a Group of people emerging from the East (Najd) who will recite Holy Quran but it will not go down their throats. They will leave the fold of Islam like an arrow leaves the bow never to return. A feature to recognize this Group is that their heads would be shaven clean or they will sit in circles)’. (Addarus Sunnia, P. 49). Let us look at the seriousness of these Ahadith. Prophet Mohammad (ﷺ) is cautioning us that whoever follows these groups, will go out of Islam as the arrow goes out of the bow, never to return back. Meaning, the chances of returning back to Correct Islamic Faith for them are nil. Allahu Akbar, Allahu Akbar. Prophet Mohammad (ﷺ) has repeatedly cautioned us about this danger in many Ahadiths. In spite of these warnings, if we fall prey to these sects’ Dawa, then no one can save us from Allah’s (SWT) torment (Azab). It is our experience that whatever Quranic and Ahadith references you place before them, whatever evidence you provide to bring them back to the straight path of Islam, it falls on their deaf ears. They are not willing to listen to reason and evidence of any kind. It seems their fate is sealed. Muhaddith Imam Abu Ya’la (RA) narrates a Hadith from Hazrat Anas bin Malik (RA) and the Author of ‘lbriz’ as follows. ‘Hazrat Anas Bin Malik (RA) narrates that in Medina, there lived a very pious youngster. One day we made reference about this youngster to the Prophet (ﷺ). In spite of the Sahaba describing the youngster’s features and character to the Prophet (ﷺ), the Prophet (SAWS) did not recognize the youngster made mention of. However, a few days later, whilst we were in the company of the Prophet (ﷺ), the young man passed that way. On seeing the young man, the Prophet (ﷺ) exclaimed: ‘I see the scabs of Shaitaan imprinted on his face. The youngster then approached the Prophet (ﷺ) and made salutation. The Prophet (ﷺ) then said to him. ‘Is it not true that right now you are thinking that there is no one better than yourself here?. ‘The youngster then replied. ‘Yes, these thoughts did pass my mind. ‘He then walked away into the Masjid. The Prophet (ﷺ) then inquired as to who will kill this person. Hazrat Abu Bakr (RA) volunteered to do so and entered the Masjid and saw the person he was deeply engrossed in performing Salaat and he remembered a Hadith of the Prophet (ﷺ) which prohibited one from killing a person who is performing his Salah and returned to the Prophet (ﷺ). The Prophet (ﷺ) again inquired as to who will kill the youngster, this time Hazrat Umar (RA) volunteered to kill him and entered the Masjid and found the youngster performing his Sajda and with the same thoughts as Hazrat Abu Bakr (RA), Hazrat Umar (RA) returned to the Prophet (ﷺ). When Hazrat Ali (RA) entered the Masjid, he was surprised to see that the youngster was no longer in the Masjid and he too like the others returned to the Prophet (ﷺ). The Prophet (ﷺ) said: ‘If you had only killed him then all the Fitna in my Ummah till Day of Qiyamah would have been wiped out and no two persons in my Ummah would have fought between themselves.’ (Ibreez , p. 277) Author- Allama Shah Abdul Aziz Dabbaag. Anyone who reads the above Ahadiths will be convinced that the groups being referred to by Prophet Mohammad (ﷺ) is none other than Wahhabis. Because their characteristics meet 100% from the characteristics mentioned in these Ahadith. What is ‘the harm of the tongue’ referred in the above Hadith. It is the eloquent speeches, references of Quranic verses and Ahadith and argumentative skills of Wahhabis that overwhelms the hearts of innocent Muslims. They join their group without realizing the consequences of their actions on the Day of Judgment. Allama Dahlaan, the celebrated Shaikh al-Islam, Mufti of Makka, and famous Islamic historian writes that Zul Khuwaisra – the man who showed disrespect to the Prophet (ﷺ) was from the tribe of Bani Tamim and Ibn Abdul Wahhab was from the descendants of Bani Tamim”. (Addarus Sunniah, p. 51). Wahhabis and their like minded groups misguide innocent Muslims saying that these Ahadith are with reference to Kharijites. But, the truth is that these Ahadith certainly do not fit Kharajite because they were not exclusively hailed from Najd and they were not the descendants of Bani Tamim Tribe. It is a known fact among the righteous scholars of Shariah that Najdis have a history of insulting the Prophet of Islam (ﷺ). Musailima Kadhab, the lier, who declared himself a prophet also hailed from Najd. The following Ahadith clearly establishes the location of Najd. It is in Hadith – Imam Muslim (Hajj, 2) narrates a similar hadith: ‘for the people of Madina it is Dhu’l-Hulayfa – while on the other road it is al-Juhfa – for the people of Iraq it is Dhat Irq, for the people of Najd it is Qarn, and for the people of Yemen it is Yalamlam. Prophet’s (ﷺ) Ahadith clearly mention the place ‘Najd’ which points out directly, and unequivocally to the rise of Ibn Abdul Wahhab Najdi as ‘the horn of Satan’. There is no single person in the History of Islam who has created so much bloodshed, tribulation and discord among Muslims. Anyone reading these Ahadith and looking at the history of Islam will easily be convinced that Prophet Mohammad (ﷺ) is indeed pointing out about Wahhabi tribulation in his Ahadith. Shah Abdul Haq, the Muhaddis of Delhi writes, ‘The Kharajees were not the descendants of Zul Khuwaisra.” (Ashatul Lamaat, Commentary on Mishkat p. 535). The Wahhabis are from his descendants. Tafsir al-Jalalayn is one of the most significant tafsirs for the study of the Qur’an. Composed by the two “Jalals” — Jalal al-Din al-Mahalli 1459 CE (d. 864 AH) and his pupil Jalal al-Din al-Suyuti 1505 CE (d. 911 AH). Famous Maliki Scholar Ahmad Sawi (1825 AD) wrote a commentary ( Hashiya) on the above work. This commentary is called Hashiya al-Sawi ‘ ala al-Jalalayn. In explaining this verse, the great scholar Ahmad Sawi writes in his commentary as follows. The above note is available in the following 3 Editions. But Wahhabis are famous for changing religious books. They published a new edition of the above work from [Dar al-Fikr in Beirut , offset of the same old printing ], but with a surreptitious change. In the third volume, part of the bottom line of page 307 and the top line of 308 have been whited out, eliminating the words “namely, a sect in the Hijaz called ‘Wahhabis,’” removing the basic point of what the author is trying to say about the modern counterparts of the Kharijites. In another later edition in 1993, Dar al-Fikr, Beirut has deleted the above line completely using modern computing technology. It is important that we give a serious thought to the above warnings of Prophet Mohammad (ﷺ) and correct our Islamic faith and ensure our salvation on the Day of Judgment. Thanks for visiting and it’s really great to hear from you. Also we are glad that you liked our work and assure you that we will keep on trying to contribute towards web audience with correct, authenticated and updated information. I would respectfully like to disagree on the “money” thing you mentioned in your comment. To learn and change for good, all you need is to keep your eyes, heart and mind open to the truth, accept it and stay connected to it. Thanks once again for visiting our blog. Than you for visiting our blog. I really appreciate you for investing your time by sharing your feedback with us and notifying us about the issue. we will try to resolve it asap. Actually we ain’t well versed with technical aspect of blogging.